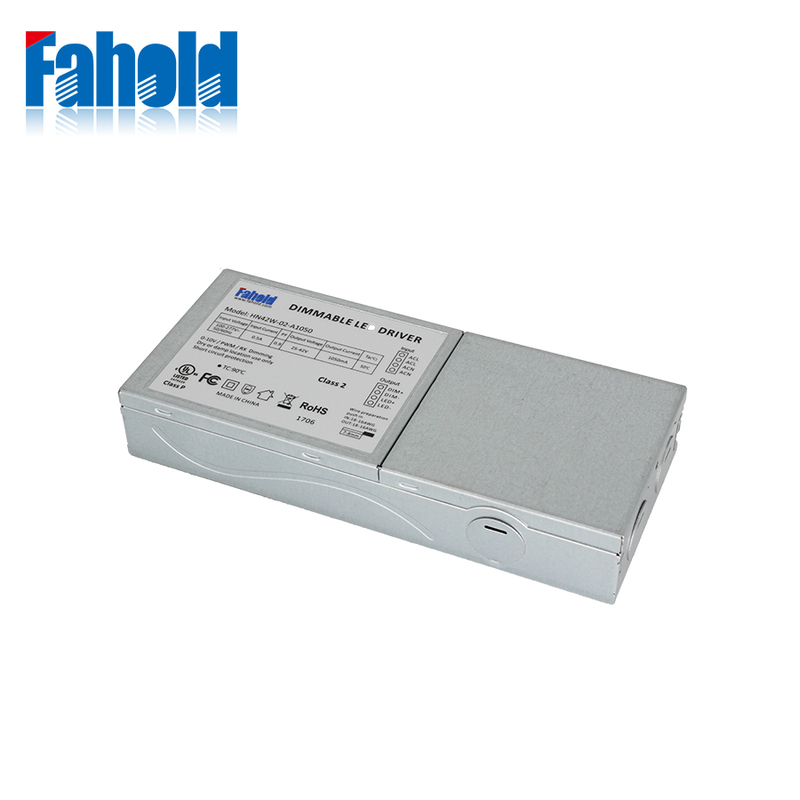 HN42W-02B, Fahold designed high voltage 100-347V LED Driver, to operate general Indoor Lighting Solutions. Constant Current Flicker free 0-10V/PWM/RX dimming, with wattage range of 42W ,UL,FCC,CE compliant. The units are suitable for America market,Commercial LED Troffer Driver, etc. Looking for ideal High Voltage LED Driver 42W Manufacturer & supplier ? We have a wide selection at great prices to help you get creative. All the Led Driver 100-347VDC are quality guaranteed. We are China Origin Factory of Panel Led Driver 42W. If you have any question, please feel free to contact us.